Overcooked (game, 2016). A cooking simulation video game by Team17 Software Ltd./Team17 Digital Ltd./Team 17/Ghost Town Games Ltd./Sold Out. Developed by Ghost Town Games Ltd., Team17 Digital Ltd, Team 17. Official Trailer. Overcooked is a cooking simulation video game by Ghost Town Games Ltd., Team17 Software Ltd., Team17 Digital Ltd., Sold Out and Team 17, developed by Ghost Town Games Ltd., Team17 Digital Ltd and Team 17. 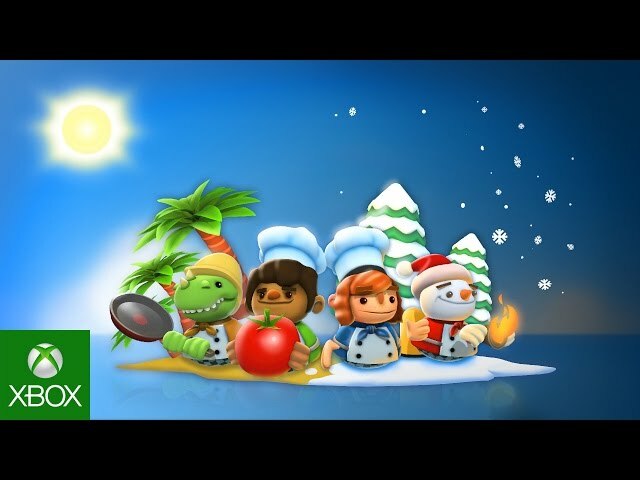 Players in Overcooked take on the role of chefs in a kitchen, preparing meals via preparation of ingredients, cooking, serving, and cleaning up all while under a time limit to complete as many dishes as possible. During a round, the players are presented with an order which must be completed within a short time window. The chefs work together to complete that meal in time. Most often, multiple orders of different types or varieties of meals will be presented in a queue, thus requiring the chefs to work together to effectively complete the orders. Completing each order correctly earns coins, with bonuses for speed, while orders that are improperly served do not earn any points but only waste time. The goal is to collect as many coins as possible within the time limit. The players are ranked on a 3-star system based on how many coins they got. The cooking aspect is made difficult by the layouts of the kitchen, which change each level. Stations for ingredients, preparation areas, stoves and ovens, serving windows, and dishes are generally all separated across the kitchen, requiring time to move between them. There also may be other obstacles or challenges, such as a kitchen separated by a pedestrian crosswalk, with the pedestrians potentially getting in the chef's way. Another kitchen is set on the back of two trucks traveling at different paces down a road, making switching from one half of the kitchen to the other not always possible. Yet another kitchen is set upon an iceberg, requiring players to make more careful movements lest they fall off. There are about 28 different kitchens in the game's campaign along with a final boss level. 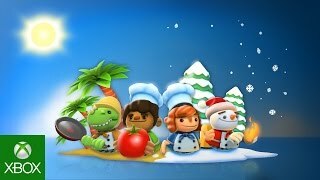 Players in Overcooked take on the role of chefs in a kitchen, preparing meals via preparation of ingredients, cooking, serving, and cleaning up all while under a time limit to complete as many dishes as possible. During a round, the players are presented with an order which must be completed within a short time window. The chefs work together to complete that meal in time. Most often, multiple orders of different types or varieties of meals will be presented in a queue, thus requiring the chefs to work together to effectively complete the orders. Completing each order correctly earns coins, with bonuses for speed, while orders that are improperly served do not earn any points but only waste time. The goal is to collect as many coins as possible within the time limit. The players are ranked on a 3-star system based on how many coins they got. Overcooked was scheduled to be released by Team17 Software Ltd., Team17 Digital Ltd., Team 17, Ghost Town Games Ltd. and Sold Out on August 1, 2016, on August 2, 2016, on August 3, 2016 and on July 27, 2017. This video game is available for the following platforms: Microsoft Windows, PlayStation 4, Xbox One, Nintendo Switch.